I can’t believe we’re at the end of this month-long challenge! I think I speak for both of us when I say we haven’t really felt deprived of good food, either. In fact, I’m going to try and keep this up until the end of the year, and I wouldn’t be surprised if we end up permanently setting our food budget at (or close to) $20. I honestly don’t know what I would spend the “extra” money on if we increased our budget back to the $40 it was – I’m trying to remember now what we used to buy, and how it cost so much. There has certainly been better planning and less food waste in the Walkup house since the beginning of this budget challenge, and it’s kind of nice! Can you tell what we are contributing to my family’s Thanksgiving dinner? In exchange for bringing a couple of side dishes for 8 people, we get a share in the Turkey dinner (and leftovers the next day). Compared to last week’s trip, I didn’t get a whole lot today, because some of these things (like prosciutto and brussels sprouts) are more expensive than what I would buy for a non-holiday week. It all kind of balances out, though, and we get 7 good meals with our $20. I’ve got enough ingredients to make another batch of cranberry-orange breakfast rolls, plus several eggs, so we’re set on breakfasts. Leftover cooked pinto beans from last week will make quesadillas or soup for lunches. 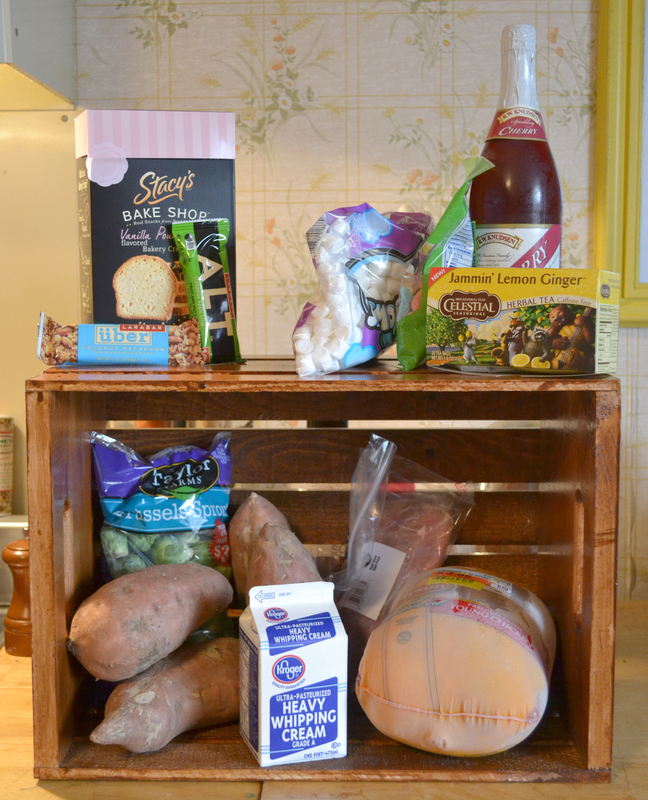 Also, check out my sister’s weekly budget food challenge here. Congratulations on a month well done! I got a good idea for turkey leftovers from your menu, too – enchiladas!